Discussion in 'DPF Auction House' started by sockgnome, Feb 1, 2019. Picture is of the pin you will be receiving: it will come in it's original tin. PLEASE NOTE: Belle has a few very light grey marks on her cheek. Love this series! I have this pin otherwise I'd be all over this. Happy bidding guys! Bump,! Come and bid on this lovely pin! 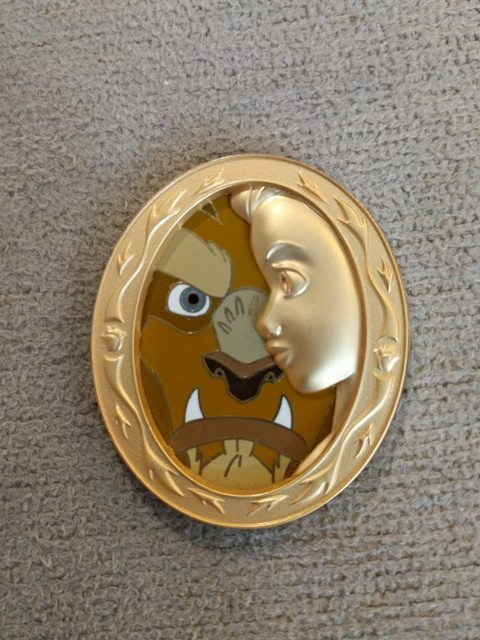 This looks a lovely pin, I don't have much on your wants list sorry but i do have these from my collection that you want. Pins 12222 DLP Pastel White Rabbit and pocket watch , 77103 Disney store Europe Lady and i'll add this pin 123448 DLP cast lanyard Rabbit ,Thanks. Thanks for the first bid! Two more for a leader board! This auction ends tomorrow! Any more love for beast? Auction ends in just over an hour! Winner is teddy_ruxpin! Thanks for bidding!